Every year for at least the past few million years, polar bears have made the trek over sea ice to reach their main source of prey, ringed and bearded seals that surface through holes in the ice to breathe. They roam across the continental shelf and the Arctic inter-island archipelagos, sometimes across ice that is rock-solid, other times across thin, watery ice. 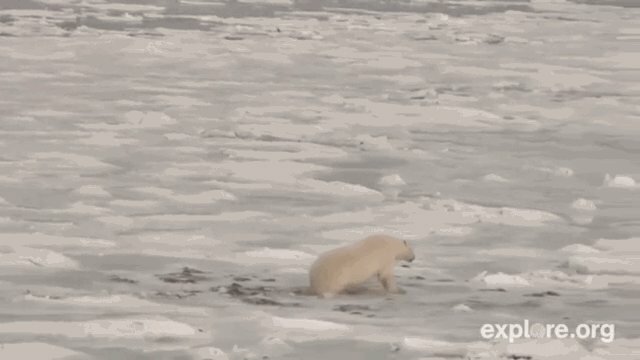 As the weather warms and the ice melts each year, many polar bears retreat to land for the summer to await next year's hunting season. 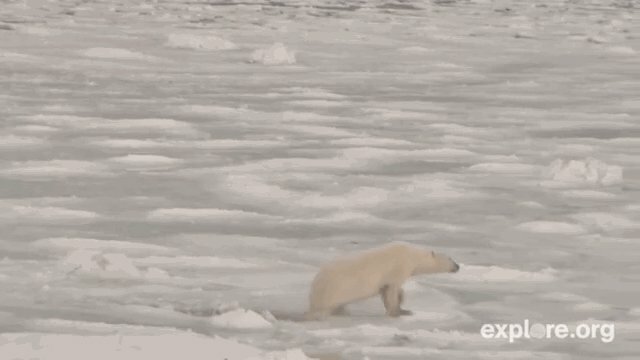 A polar bear tests the ice, occasionally dipping into the water. This isn't such an unusual phenomenon, but considering new realities of polar bear habitat, the scene is haunting. 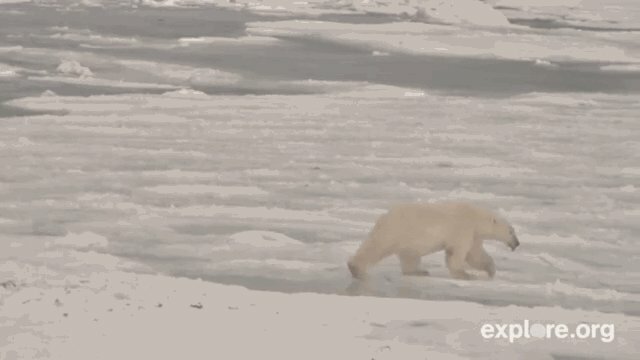 Rising temperatures due to climate change have been causing sea ice to melt earlier in the season, driving the bears to shore before they've eaten their fill. In recent years, summer sea ice coverage in the polar bear's habitat has reached record lows, and scientists predict that the Arctic could become seasonally ice-free by the middle of this century. Soon enough, it's possible that during the summer, polar bears won't have any ice left to test. Similar to other iconic images of polar bears on melting ice like this one, the images are just a warnings of what could come.